Liverpool take on West Ham at the London Stadium on Monday night, looking to extend their lead at the top of the table. Will the Reds get all three points at the London Stadium? Check out here our West Ham vs Liverpool betting preview with betting tips, predictions, starting line-ups, team news, enhanced odds, bookie offers and no deposit free bets! 888sport offer 40/1 West Ham or 5/1 Liverpool to win! Max bet £5! After an impressive win over Arsenal last month, West Ham have lost three games in a row across all competitions, conceding nine goals in the process. They were beat by Bournemouth (2-0) and Wolves (3-0) in Premier League, and by AFC Wimbledon (4-2) in the FA Cup. The Hammers failed to even register a shot on target in that 3-0 defeat at Molineux. Anyway, Mauricio Pellegrini's men will be heartened by their recent home record, as they have lost just one of their last six matches at home. As to direct encounters, the Hammers suffered a 4-0 defeat at Anfield on the opening day of the 2018/19 Premier League. That was their fourth loss in a row against the Reds, conceding four times in each of those games. Marko Arnautovic is uncertain to be ready for this clash de to a foot injury. Goalkeeper Lukasz Fabianski and Aaron Cresswell will also need to be assessed while Samir Nasri will be out fro a week or two. Andy Carroll could replace Arnautovic in the starting XI with Michael Antonio, Robert Snodgras and Felipe Anderson tucked behind him. Lucas Perez is pushing to be considered too. The likes of Fabian Balbuena, Winston Reid, Andriy Yarmolenko, Carlos Sanchez and Jack Wilshere remain on the sidelines, though Manuel Lanzini is at least back in light training. Liverpool were unable to get the better of Leicester last time out, drawing 1-1 at Anfield. It was also the first time that Liverpool had dropped points to a team from outside the top six all season. The Reds are now only two points clear, as Man City defeated Arsenal on Sunday. Jurgen Klopp's men boast the best defensive record in the Premier League. with just 14 league goals conceded thus far this term. Moreover, when travelling to sides outside the top-six this term, they’ve won each of their eight trips, scoring at least three strikes in three of the last five. The Reds are able to welcome James Milner back from suspension, and he could slot straight in at right-back with Trent Alexander-Arnold still sidelined. Dejan Lovren made the bench against Leicester City and may oust Joel Matip from the heart of defence, since Joe Gomez remains sidelined. Adam Lallana is pushing for a recall on the right of midfield and coiuld replace the below-par Xherdan Shaqiri. Roberto Firmino and Sadio Manè will complete the offensive midfield trio behind Mo Salah. Daniel Sturridge is another option in attack. Looking for the best odds on West Ham vs Liverpool? Here at BetAndSkill.com you'll always find the best prices on all the Premier League games we analyse. The following are the highest odds on the West Ham v Liverpool match winner market. For simplicity purpose, we are showing the odds as decimal. You can learn how to convert odds form decimal to fractional here. Get 30/1 Liverpool to beat West Ham at BetVictor. Max bet £1! New Customers only. Place a maximum £1 bet on Liverpool to win Match Betting - 90 mins. If it wins, get the enhanced odds paid out as free bets; cashed out bets excluded. 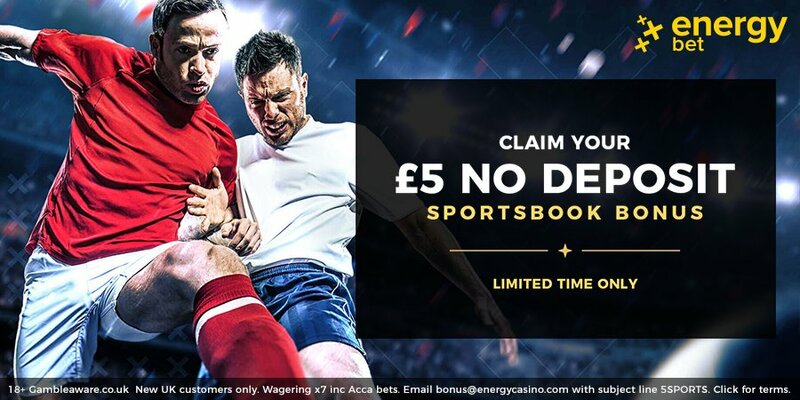 Offer valid from 09:00GMT on Sunday 3rd February 2019 until 20:00GMT on Monday 4th February 2019. Credit or Debit card only, minimum £5 deposit. Geographical Restrictions. T&Cs Apply. Our expert punters have carefully analysed all the factors that could influence the outcome on this match. Read below our four recommended bets on West Ham vs Liverpool. Back our recommended bets and receive tons of exclusive betting bonuses. As a new customer and with the new Premier League season up and running, there should be plenty of promotions and special offers for you to take advantage of. Next Manager to be sacked is an incredibly popular market throughout the season with more and more bookies offering it to fans. Pressure is mounting once again on Mauricio Pellegrini, so it could be worth a bet. If you’re just getting started betting on football, you might be confused by the multitudes of wagering options available. This is the reason why we are providing you with a brand new betting guide section! Plus, we are giving you the chance to start betting on football without deposit! Take a look at our no deposit free bets page and bonus promo codes. "West Ham v Liverpool Predictions, Betting Tips, Lineups & Odds (Premier League - 4.2.2019)"